At Grabowski Orthodontics, we are called to get involved with the community because of the connections we have the honor of making with families in the area every day. A child’s needs change as they grow and learn more about who they are and what they love, and there are challenges that come with keeping them comfortable and happy at the doctor’s office. This is a small part of the reason why we are so inspired by the Fox family and the amazing legacy they created for their son and brother, Ethan. The Fox family lost Ethan to osteosarcoma at age 15 on April 27, 2018. He was an incredible young person who loved soccer, super hero movies, video games and cooking shows. Ethan and his family battled his disease while still sharing special moments in a life far too short. Through Make-A-Wish (another one of our favorites), Ethan and his family went to London to see a Chelsea Soccer game. Ethan and his family speak to our hearts. 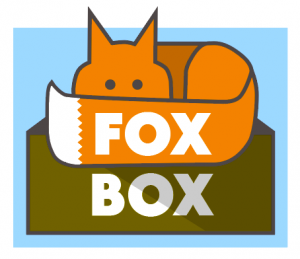 They are honoring Ethan through the Fox Box Project, created to maintain a gift and goodie box for teen and pre-teen patients of the Bronson Hospital Pediatric Oncology Clinic. Ethan was treated there, and his family recognized the need for a “toy chest” for pre-teens and teens—like the toy chest they have for younger children. Each addition to the Fox Box is vetted and teenager-approved to make someone’s day. What a beautiful way to remember Ethan! Please visit their Facebook page for more information. Donations can be made locally, through a wish list on Amazon, and monetary donations may be made via PayPal. We think this is really special and had to tell you about it!